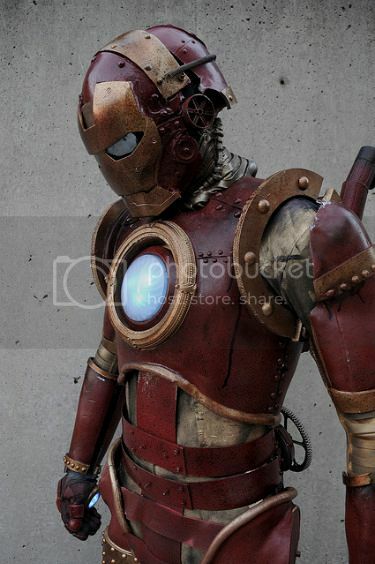 Meet the winner of the Marvel Costume Contest at New York Comic Con 2010: Steampunk Iron Man. Uh, do arc reactors really fit within the whole steampunk motif? Shouldn’t he have, you know… a steam-powered device protruding from his chest? Via Agent M Loves Tacos, who doesn’t like the idea of any kind of protrusion being powered. I want to see a Warmachine ver. of this!! !